My eighth novel, SOULBINDER is in stores in the UK & Australia, coming soon to North America. You can get a pair of free stories here. The best way to stay up to date is at www.decastell.com, but I'm also on that Facebook thing. Also that Twitter thing. One day I'll even remember to get on that Instagram thing. As to who I am? Well . 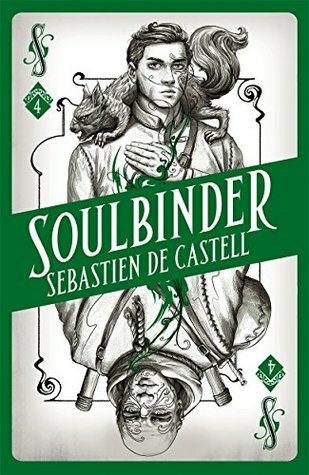 . .
Sebastien's acclaimed swashbuckling fantasy series, The Greatcoats.was shortlisted for both the 2014 Goodreads Choice Award for Best Fantasy. the Gemmell Morningstar Award for Best Debut, the Prix Imaginales for Best Foreign Work, and the John W. Campbell Award for Best New Writer. His YA fantasy series, Spellslinger, was nominated for the Carnegie Medal and is published in more than a dozen languages.